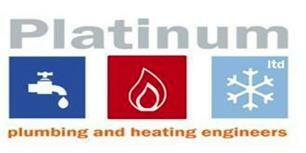 Platinum Plumbing & Heating Engineers Ltd - Central Heating Engineer, Plumber based in Netley Abbey, Hampshire. Platinum Plumbing Ltd was founded in Nov 2007 but I had previously worked for 14 years as a gas trained plumber for Southampton City Council and before that Haden Young and Lorne & Stewart. I have been working in the Plumbing & Heating industry for over 30 years and I am Gas Safe Registered. I carry out all aspects of plumbing and heating work, from a tap washer to a complete central heating system and bathroom refurbishment. We are a family run business, my son Joe is a qualified plumber working alongside me whilst studing for his level 3 qualification and my wife Bev is in the office answering customer queries and booking appointments. We always offer free quotations and advice with no obligation.